Thank you so much for stopping by! 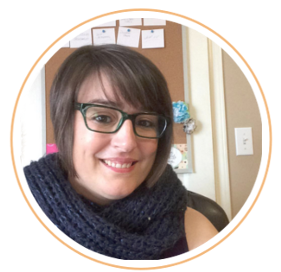 If it’s your first time here, I’m Alli, a slightly distracted, mildly frazzled, always crazy busy (even when I’m doing nothing) wife and mother. This is my happy little corner of the interweb, where I share my scatter-brained approach to everyday living. You can expect to find lots of tips, tricks, ideas, and resources to help you create the systems that work best for you when it comes to managing your home, time, family, and life in general. Oh and printables! Lots -no- TONS of free printables!! 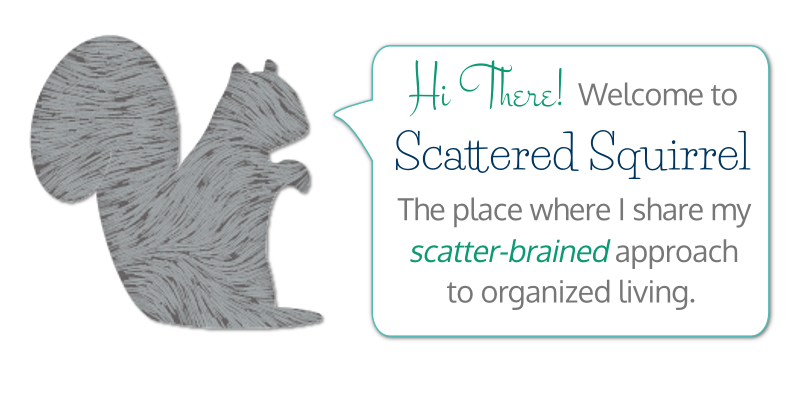 I’m always looking for ways to organize the Scattered Squirrel site to make it easier to navigate. Just because something makes sense to me, doesn’t mean it will to others. So here are a few tips I hope will make your time here better. To download one of the printables all you need to do is click the picture of it. Depending on your browser or your browser settings it will either open the printable as a PDF in a new window where you can save and or print right from there, or it will open a dialog box asking you where you would like to save the file. All of the pictures on this page are clickable, so feel free to check out where they go. How about we take a little look around at some of what you can find here. When I first embarked on my journey to craft a more organized life for myself and my family my focus was solely on my home. 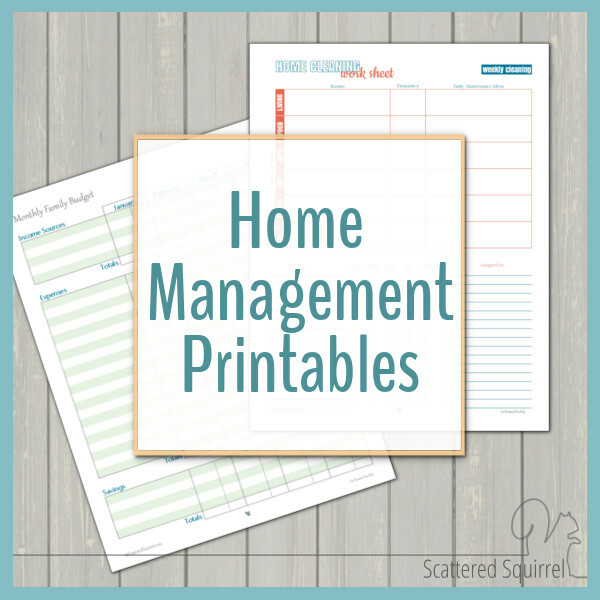 For years I struggled with how to properly manage my home. What seemed to come so naturally to everyone else felt like a huge undertaking to me. I kept thinking, if I can just get my home under control everything else will fall into place. And while decluttering and organizing certainly helped, the most important lesson I learned was that it was not my home that needed organizing first, it was my time! I can’t rewind the clock but I can pass the message on. If you’re like me, and struggling with where to start on your organizing journey, maybe starting by taking a look at how you spend your time might be a good starting point for you. Click the pictures above or the links below to check out those posts. It is always easier to clean a home that is organized. When things have a home that makes sense to the people who live there, they tend to get put away more often. If you don’t need to always tackle a mess of clutter before you clean, cleaning becomes easier. It also becomes quicker! And if you work at building cleaning time into your routines, it becomes even quicker, because the cleaning tasks won’t be so huge. 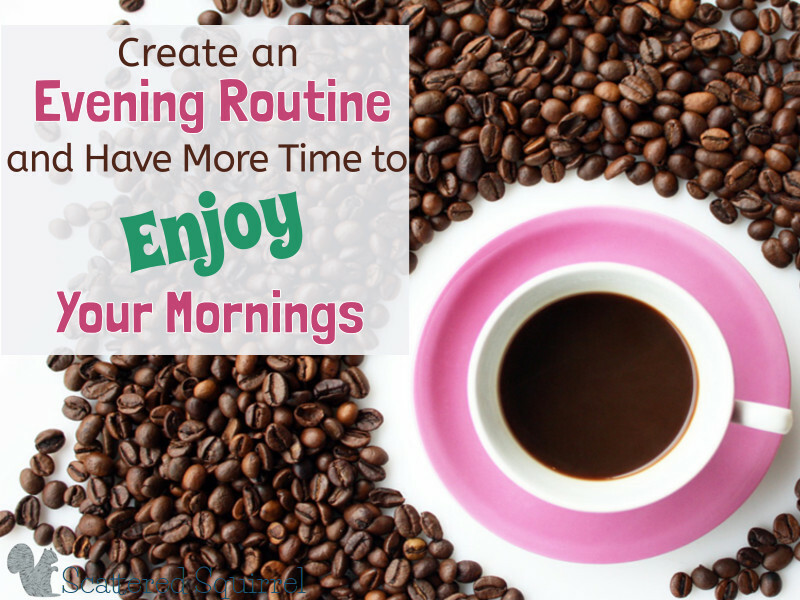 Below you’ll find links to two of my most popular posts about cleaning and organizing. Click the pictures above or the links below to check out these posts. 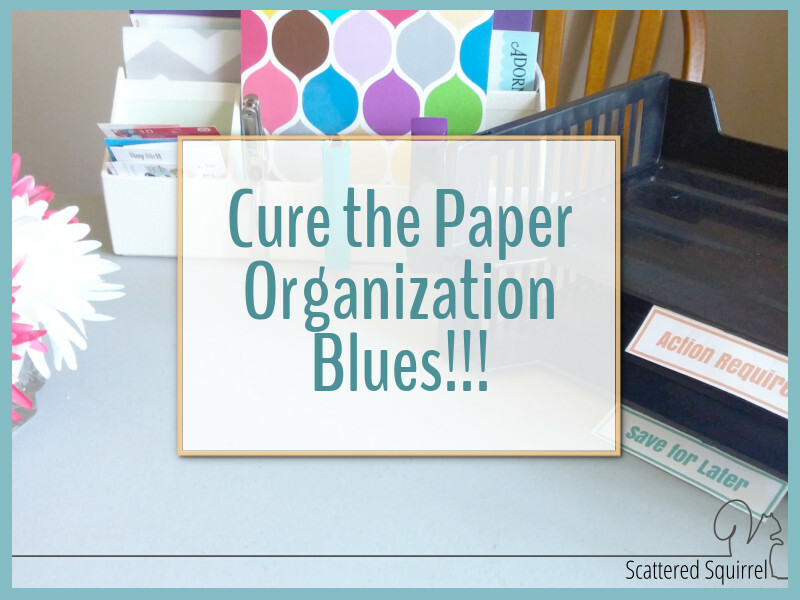 Cure the Paper Organization Blues! Planners are one of the most versatile tools out there. They can be used in so many ways for so many things, from managing your home to helping you build your routines. I have a passion for creating and using planners to help keep me on track in different areas of my life. But you don’t need many to get the benefits from them, you just one! One that you’ve found that you love, or one that you’ve created to fit your own unique needs. Not sure where to start? Check out the two posts below for some ideas. Click the photos above or the links below to check out those posts. The possibilities and uses for printables are pretty much endless in my book. I love nothing better than letting my creative juices flow to try to find a way to help even one person carve out a little bit of organized bliss. If you’d like to check out the printable galleries, simply click one of the pictures below to see all the printables contained in that category. These are just a few small examples of what you can find here on Scattered Squirrel. I have so much more I would love to share with you, so please take your time, look around and most importantly, enjoy! Again, thank you so much for stopping by. I hope you enjoy the posts and printables. Oh, wow! You have done a fabulous job with the web site! Congratulations! The new site is terrific! Going to have to spend some time exploring! Thanks so much. It’s bit of a change for me, but so far I’m really liking it. I hope you had fun on your exploration! very helpful and inspiring.. millions thanks ! Thank you so much. I hope you find some printables and post to be a help to you. Welcome to my little corner of the internet. I’m so happy you found some useful information here. I hope you find some printables to help you on your way. Structure is really important in our home too, sometimes I wish it wasn’t that way, but I know (from trial and error) that when I don’t implement it things get chaotic and crazy in no time at all. Thank you so much for all the printables and showing how to make your own journal. I bought the complete set of Arc a while back and had to stop buying because of the expense. Now, with your help, I can make my own at a much reasonable rate. Love your site. Wow, what a journey I have been on! It all started when I signed up for a year long digital art class on line. He suggested we get an arc system for our downloads, thoughts, ideas and even to put our printed artwork into. So I started looking into all the organizing systems, not really deciding on which one to get, but knew I needed the full size. Then I thought to myself, “Why can’t I make my own? Why not? So, this morning I goggled make your own and found, Linda at Paper Boutique. I watched a couple of her amazing videos and she mentioned your site and here I am. I am absolutely blown away at your attention to detail! Which one to get? Oh, I want them all! So thank you for all of your work my dear girl and I am giddy at the fun I am going to have designing this organization book. I’m so happy you found us! The Arc books are a fantastic system, they’re so versatile they work for so many different kinds of things. 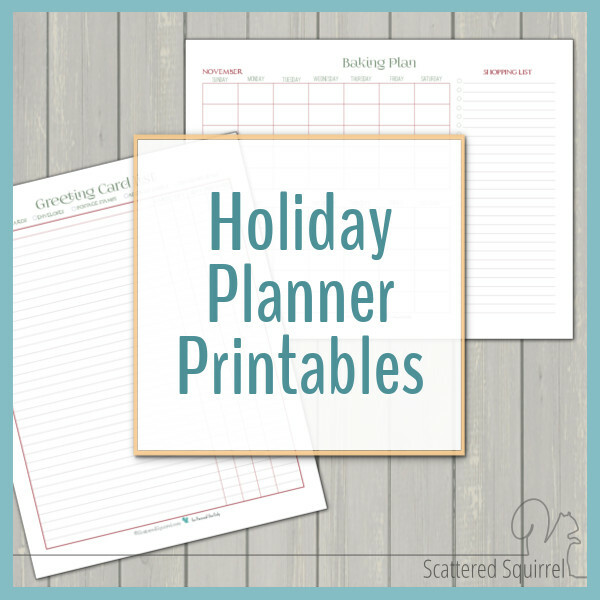 There are lots of printables here to choose from to help you on your way, and if you ever need something you can’t find drop me a line, I take requests! I hope you had fun looking around. Have you ever thought of a line for teachers? Just discovered you thanks to Linda from The Paper Boutique http://www.paperboutiquewithlinda.com. Thank you SO VERY MUCH for all your wonderful sharing!! I can’t wait to keep discovering more of the treasures you have stored on this great site!! THANK YOU SO MUCH! I love all the free printable. Just the right amount of design and all the right information. Not too much and not too little. I’m not sure where you saw that picture here, it might have been on one of the Ultimate Bundle posts. I do not offer art classes. Sorry I couldn’t be of more help. G’day, I am hoping there is some way to use your printables as templates in MS Word so I can type rather than hand-write my planners. I’m completely open to the idea that there is a tech solution to my query that I don’t know. You see I’m not of your kind i.e.a digital native. But rather, I’m a demanding baby-boomer with more digital aspirations than I have skills! I wish I could be of more help, but I’m not sure if there is a way to use them as templates Word. They were designed with printing in mind and I use a graphics program to make them, so while they’re PDFs, they’re not technically documents. I don’t know if that makes any sense, but that’s the best way I can think of to describe them. Again, I wish I could have been more help. Maybe someone else will know how? At this point, the printables are not editable. I do believe you can use Adobe Reader to add text or labels to PDFs, that might work in a pinch. I’m trying to figure out how to make them editable, but since I don’t use typical document design software, it’s a little harder for me. Sorry I couldn’t be more help. My mom pointed me to this site and said I’d be able to ask for custom stuff. For example I like the daily ones that are broken down by time, but I’d like them to start at 5am and end at 11pm… How do I request these changes? You can make requests in two different ways. The first is to either let me know in the comments or send me an email through my contact page letting me know what you’d like to see. I’ll add your suggestions to my list for Reader Requests. I make no promises about when or if I’ll get to all of them, but I try to get to at least one each month. 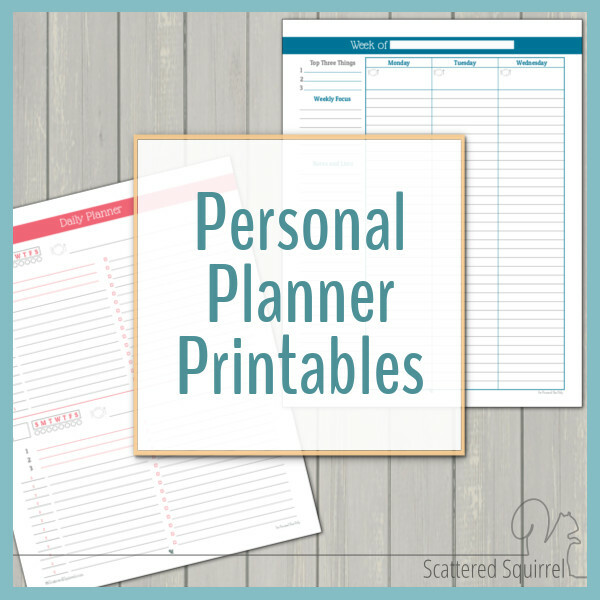 The other option, if you don’t want to wait, is to head on over to my Customized Printables page and place an order to have the printables you want customized to your specifications. I hope that helps. Any help you can give about printing pages so there’s no wasted paper and binding would be great ! I’m so glad you found us. 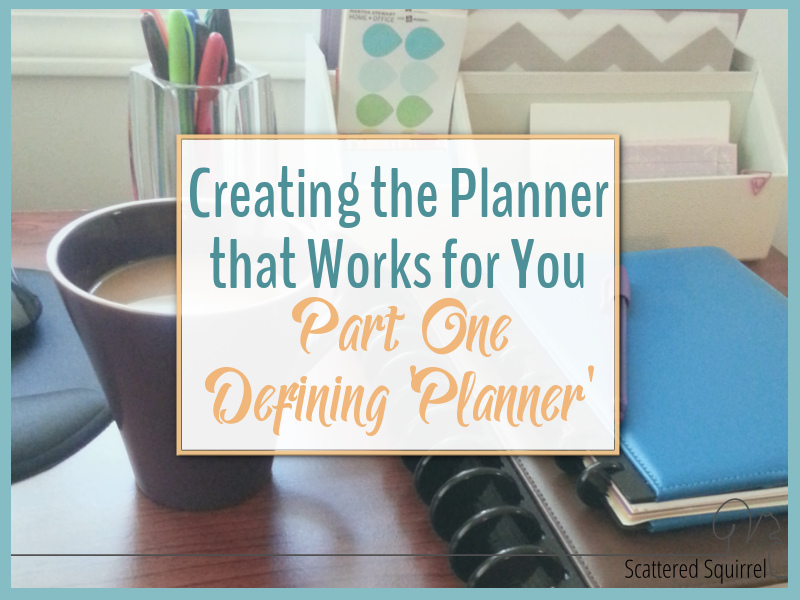 I don’t currently have a tutorial for putting together planner, however, you might find this series –Creating the Planner that Works for You– helpful. I use the Arc books from Staples, which are bound with disc. You get all the flexibility of a binder with a similar feel to a coil bound book. But binders work just as well, it’s all a matter of preference. I tend to keep my monthly and weekly planner pages in separate sections, and use a post-it tab mark the current month and week so I can find them easily. 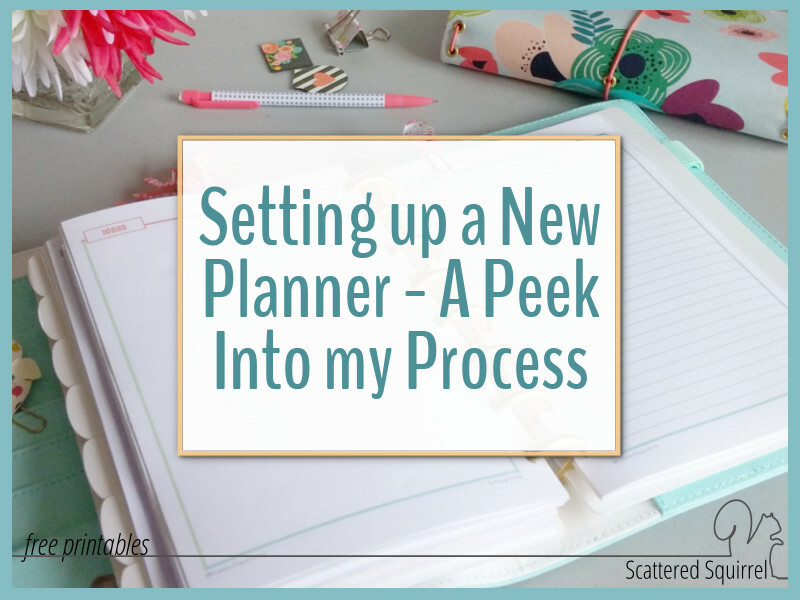 How you set your planner up is totally up to. You can have an office supply store like Staples, Office Depot even UPS store, print and bind your planner for you. Just make sure to take the pdf files with you on a jump drive and talk to them about how many copies you need of each one, how you want them printed (back to back etc), and how you want them set up in your planner, and then choose your binding option from the ones they offer. One of their sales people should be able to walk your through the process. I use the half-sized three-ringed notebooks. Take a sheet of 8. x 11 fold in half and match it up. I can get them at Goodwill for 29 cents. Target will have them for around $3.00 in their dollar section. Each printer has its personality quirks I print out one sheet, take it off the rack and put back it WITHOUT turning it over. It will print on the back side going the right direction. If you do sticker labels or sticker paper, turn the paper facedown. My printer turns the paper over before it prints on it. You must use LANDSCAPE when doing the half-sized paper. The screen will show you what portrait looks like. Change to landscape and it will show you that is what you want. Just do not turn the paper over when putting back in to print on the back side AND DO NOT USE DOUBLE SIDED. Single prints only. Face up on mine to do the backside. I use a Franklin Covey hole punch I got it at Goodwill for 5.00. Usually cost 25.00. Rare fine. It is not a full sized hole punch but what I wanted. Those are some great tips Missy!! Thanks so much for sharing. I love this website. I woke up this morning thinking about how I need a new planner to start my new teaching job. I never like the ones I find in the shops. I want certain things and no one planner has all the things I want. I thought, someone must have made a website where you can build your own planner. I found this site and I am in love. Thank you so so much. The best part I think is the idea that you can try out styles and see which one suits you best. I will print for one month and see how it goes. Thank you so much for all your hard work. I’m so happy you found us. 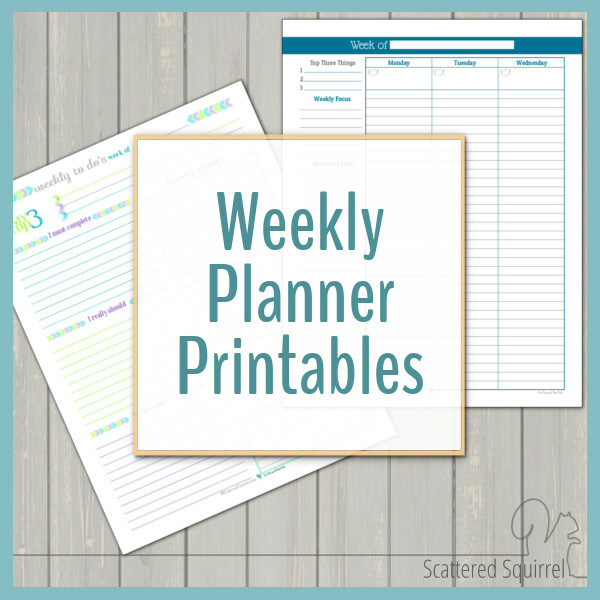 There are plenty of planner printables here for you choose from and new ones coming out often. 🙂 I wish you lots of success in building your planner. Trying things out for a little while to see if they work is a great way to figure out your planner needs. If you ever have any questions or suggestions drop me a line. I have been looking for you for years…I have to be older than You! Thank You for this wonderful Website, I have signed up for your daily, Pinned You and Shared you for any of my friends who were looking for you too! Hi Deb, welcome!!!! I’m so glad you found us. Thanks so much for sharing, I hope you find a few posts and printable that will help you out. Hello. I am a medical student and your planners are literally saving my semester. I have printed some of them and finally came to grips with budgeting my time studying so thank you for making these planners available and taking the effort in organizing them in a practical but also fun manner. 🙂 My ring binder has been incredibly useful but boring so I don’t tend to use it. But now your printables have brought new life into this old beast and transformed it into a pleasant companion who keeps me organized. Oh you are so sweet. Thank you so much for taking time to leave such a nice comment. I’m thrilled to hear that you’re finding some of the printables helpful. Best of luck on your schooling! 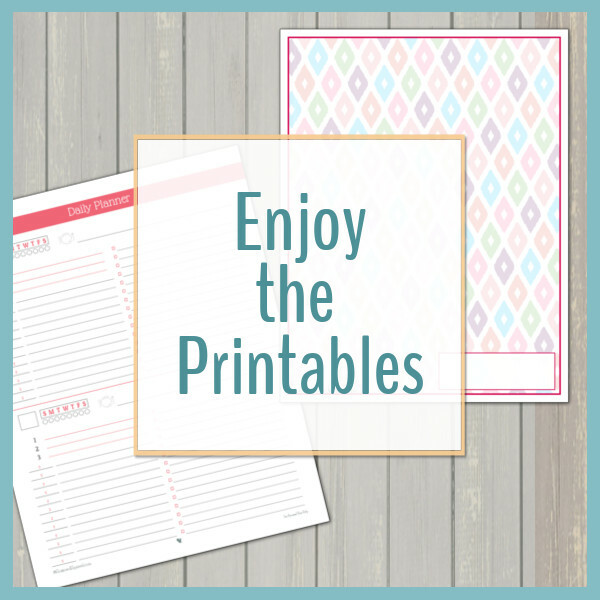 I find free printables but none measure up to how marvelously spectacular yours are, not to mention the fact that they are full sets…..Your are Awesome ? Thank you so much Amy, I’m thrilled to hear that you like the printables. I hope you found some that will be helpful for you! Enjoy them!!!!! 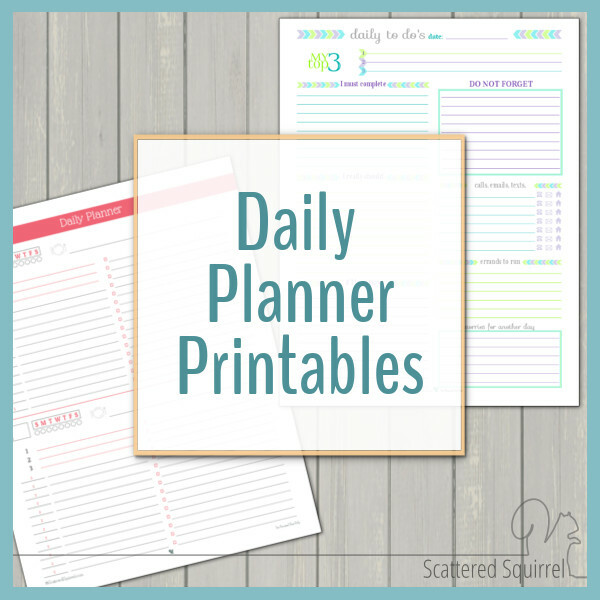 Thank you so much for the free printable planners! I’ve found plenty of planners online but none that matched what I needed – until I found yours! These are exactly what I was looking for. I especially like the Daily Planner with no times. You just saved me a lot of time having to design my own, and I would have no idea how to make them as cute as yours! Again – a big thank you! I would use the half-size printables. I have an Avery Mini binder too, that’s why I started creating half-size versions waaaay back when. They should work just fine in it. I have recently come across your lovely planners and saw one that you made in 2013. It was a daily assignment printable. I like the designs I saw but I would really like one in blush color. I understand making one for just one person would be pretty silly but might i suggest that you could also make it in the variety colors that you make for your daily prtintables. I know SEVERAL of my college and high school friends would love to have this in their daily school lives. I understand that not all request can be fulfilled but I will do ANYTHING to get that student planner in blush color. Love your planner printables❤! Keep up the AWESOME work. I have recently come across your lovely planners and saw one that you made in 2013. It was a daily assignment printable. I like the designs I saw but I would really like one in blush color. I understand making one for just one person would be pretty silly but might i suggest that you could also make it in the variety colors that you make for your daily prtintables. I know SEVERAL of my college and high school friends would love to have this in their daily school lives. I understand that not all request can be fulfilled but I will do ANYTHING to get that student planner in blush color. Love your planner printables!💞 Keep up the AWESOME work. I just love your site. The pages are exactly what I have been looking for, unfortunately I need the personal sized pages. I will keep coming back for more ideas. HI, I AM DEV JUST HAPPEN TO BOUNCE ON YOUR PRINTABLE I WAS LOOKING AT GOOGLES. REALLY LIKES THEM . I LIKE THE WEB PAGE DESIGN & SIMPLICITY. GOOD WORK CARRY ON. 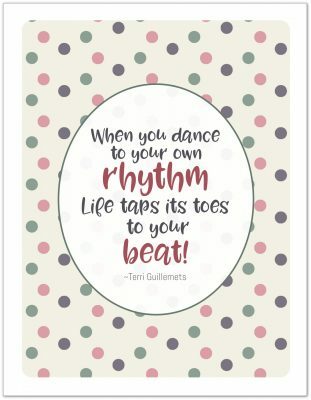 I am loving your site, especially the printables! We have a 4 year old, and 18-month old and a newborn due 7/2. I feel like we barely muddle through things and it’s driving me nuts! I’ve been struggling to find ways to organize our lives that work for us. I think I downloaded just about every printable you have and absolutely can’t wait to get started organizing our lives. Thanks so much for your work! 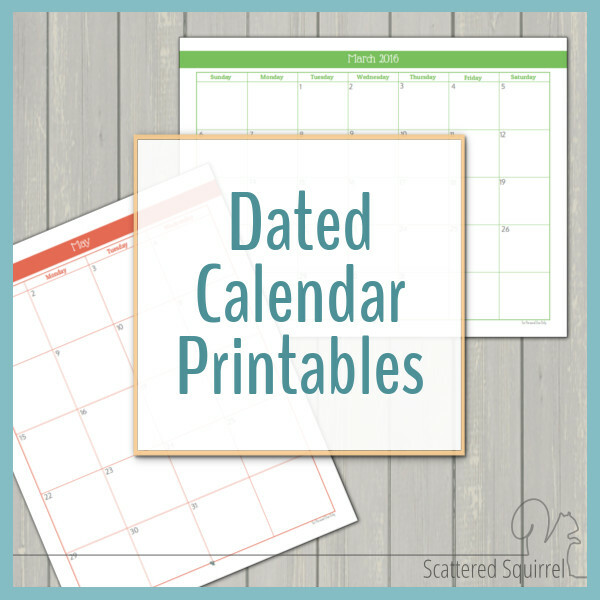 Thank you, Thank you, Thank you for the wonderful planner, calendars and other fantastic printables you have available! 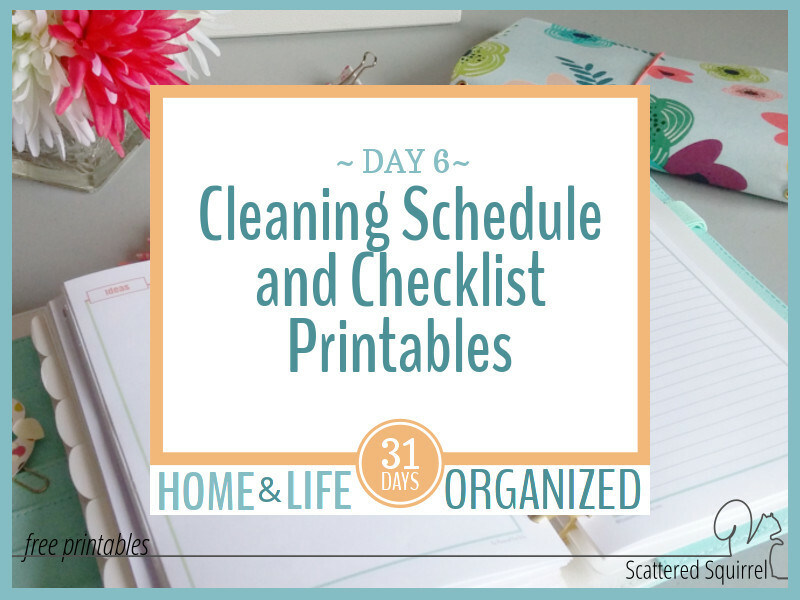 I am so happy I found your blog and all of your helpful & organizational printables! Hi Erica, I’m happy you found us too! I hope you find a few printables that will work for you. I can’t believe I found this website! It has more than what I’m looking for. I’m very ADHD as far as “executive functioning” which means I need easy organizational systems because I am a very visual person. I’ve been looking for something like this! Thank you! Welcome to the site Nancy, I’m happy you found us. I hope you’re able to find a few printables that will suit your needs. Hi! I am just getting into planners and organizing my hectic life and i came about your site! I love the concept of everything! I was wondering though because I have a mini binder, that i purchased from target that doesn’t have a specific brand name, if the half sized inserts would work for it. On the dimensions it says that it fits 7in x 9.125in paper refills. Would that fit? it’s such a random size and i know it differs from the avery brand binders. Welcome to the site Nika! The half-size inserts will absolutely work with the mini-binders from Target, they’ll just be little smaller and take up less space in the binder than if it was an Avery mini-binder. Hi Sierra, thank you so much for the kind words. I’m thrilled to hear that you like the printables! 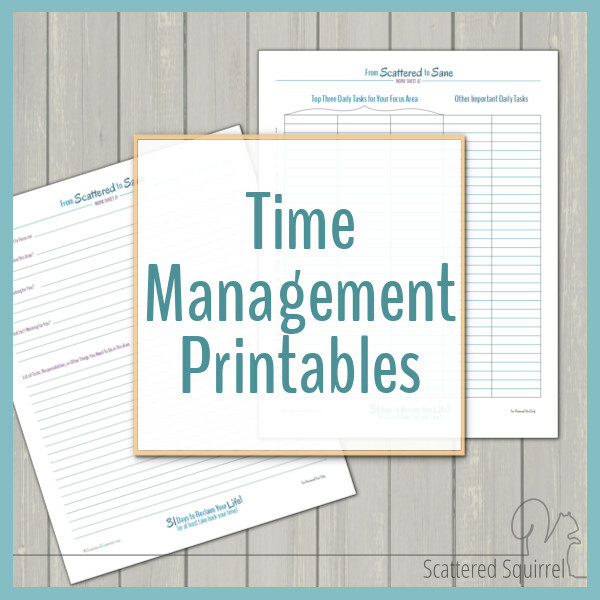 I wanted to say that I found your site a couple of months ago and I love your printables! I used a few of yours and some stuff from a couple of other sites to make my own personal planner. I had yet to find a planner that I would use consistently until I made my own. I am fixing to add a financial section and yours is the first site that I came to to see if I could find what I need. And yes I did find it! I am so grateful that you offer your printables for free. Thank you! Hi Melissa, I’m so happy you found us and that you are finding some printables that are what you need for your planner. Thank you so much for you kind words. Hi Ann. Thank you! I have a few blank calendars that start on Monday, and I’ll have a few more to add to that collection later on this year. I don’t make the dated ones that way yet because of the time it takes to make the calendars. I’m sorry I couldn’t be more help. I would like to be a member so I can access the secret printables. How do I do that? 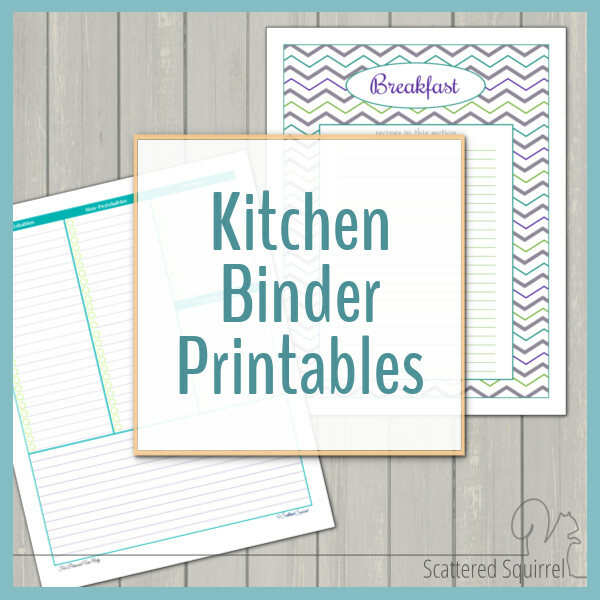 Hi Barb, you can access all the printables from the printables pages or in the posts. No membership needed. How do you make these planners. If there is a website I could use because I would like to be able to fill in certain dates. Hi Jordon, I design all the printables myself using a program called InkScape, but I know others who use Word, Excel, even PowerPoint to make theirs. It’s just a matter of what you programs you’re most comfortable using. I love your website and the printables are amazing. I have a question. The tabs, do you print them on stickers, if so which ones, or on paper and glue them? What size binder would you use for half-sized sheets? Hi Karen, you can use an Avery Mini Binder, an Arc Jurnior notebook and most A5 sized planners will fit them as well. I hope that helps. Can I have the dimensions of your printables? Hi Melodee, you bet – the full size are a US Letter page (8.5 x 11 inches) and the half-size (when cut down the middle) are 5.5 x 8.5 inches. I hope that helps. 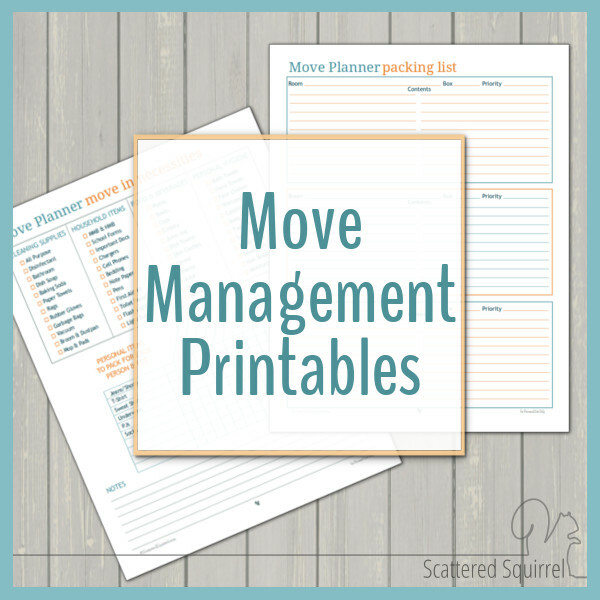 I would just like to say that your printables are just what this also-scatterbrained mom needed! They are so appealing, and I am so grateful that you took the time to make these and offer them for free! Thank you so much for your kind words Julia. I am so happy that you like them. I hope you enjoy using them. I just have to say, You have made my entire year. I ABSOLUTELY LOVE LOVE LOVE LOVE LOVE THIS WEBSITE AND ITS PRINTABLES!!!! this is exactly what ive been looking for! Thank you very much Dillon. I hope you find a few printables that will work for you. Hi Cat, thank you so much for your kind words. I’m thrilled that you like the printables. Thank you so much for these beautiful tools, you are talented and generous! Thank you so much Cat! I hope you enjoy using the printables!! 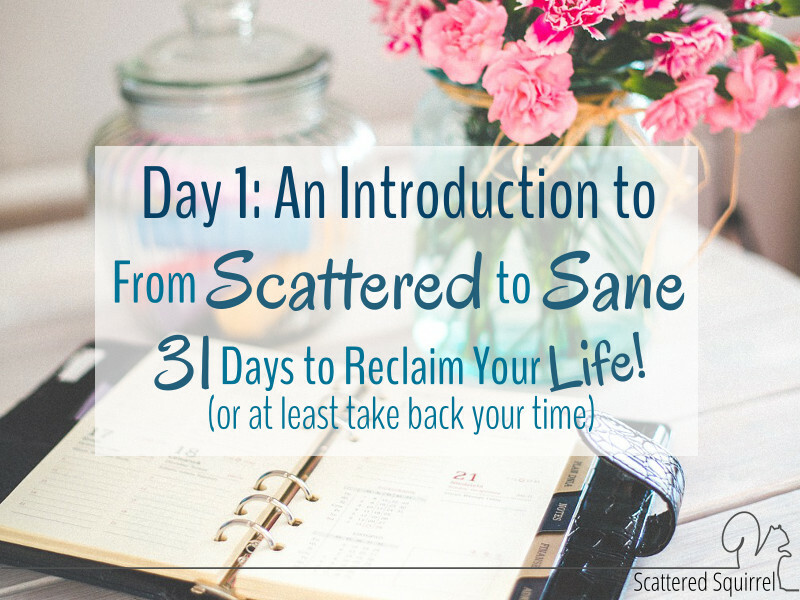 First and foremost, I want to say I finally feel slightly sane after working through your “From Scattered to Sane” series! But… I couldn’t find the last 5 days of posts?? I got through the master to do list and then a few days of printables. Then done? I felt there was no conclusion to the program. Please let me know if I missed them somewhere. My kids love the program, too, as it keeps all of us on the same schedule. Everything is written down and right in front of all of us. No more “What are we doing today, Mom?” Thank goodness! For a 12 year old son with high anxiety this has been the most effective planning program he has tried. It sure keeps us in check with each other so easily. Thank you Alli for such a great resource for us scatter brains. i have the hardest time looking for the right planner and i feel like i will be able to make my personal one here! I enjoy your recipe printable’s and the food journals, but I’m looking to make maybe a printable for my self with a more in depth work out log with reps, weight and tracking and an assortment of gym prompts. I was wondering what you recommend to create a page? Adobe indesign? or word / maybe even a building system like canva? Thanks again Alli!